STEP 1Pre-heat oven to 180°C (160°C fan forced). 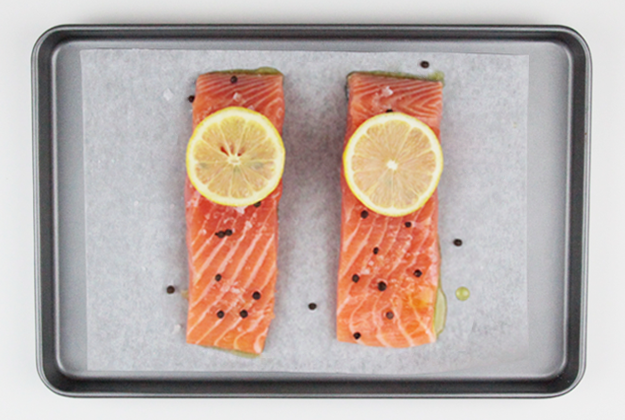 STEP 2Place salmon on a lined baking tray. STEP 3Season salmon with salt, pepper, oil or your favourite herbs and spices. STEP 4Place into oven and cook salmon for 20min/kg or 8-10 mins for single portions.